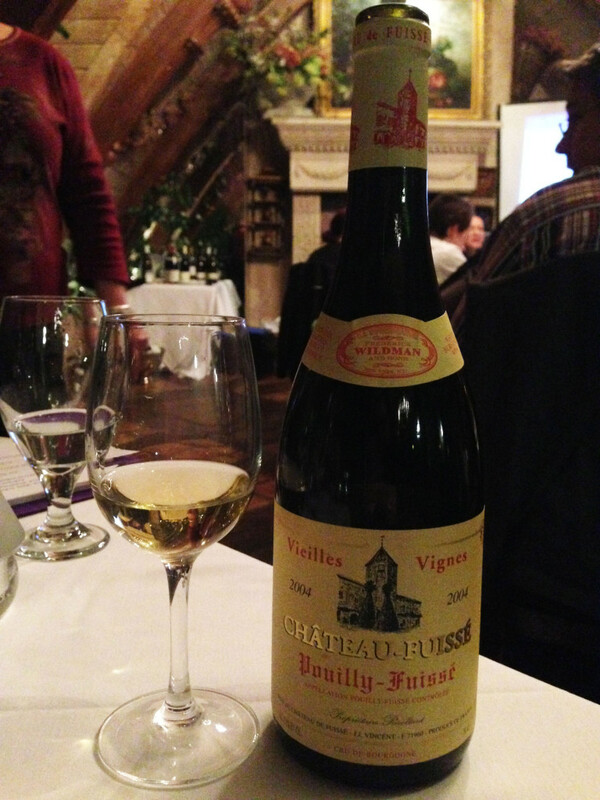 The most important lesson from our Bourgogne class: Bourgogne = Burgundy. For some reason, Bourgogne was the only French wine region to be translated, and in English-speaking countries is called Burgundy. It’s long caused confusion to consumers who find only Bourgogne mentioned on wine labels so a shift is currently occurring to return all references to the region to its French name: Bourgogne. 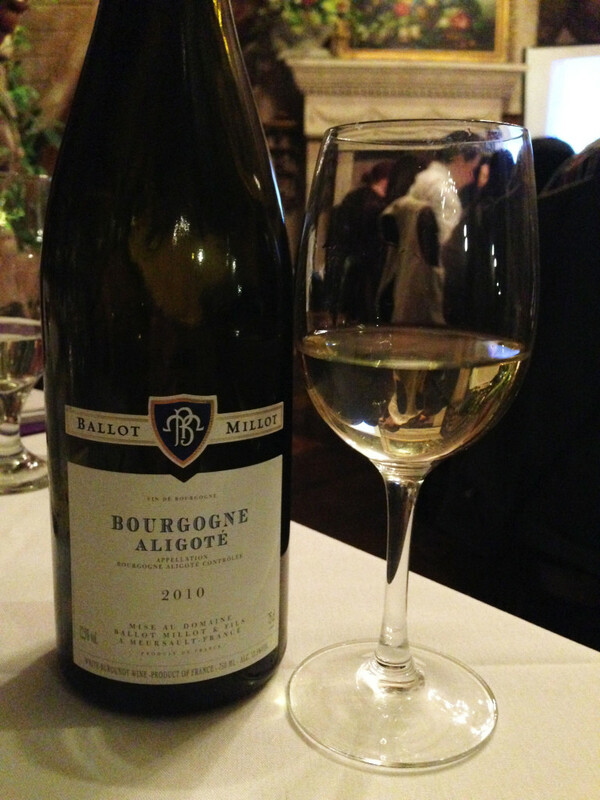 Bourgogne has chosen just a few grapes to focus on. Those are primarily Chardonnay and Pinot Noir with some Aligoté, Gamay, Sacy, Pinot Gris and César. In 1986, 60% of production resulted in red wines. Today, 66% is now white wines—with 46% of the region’s vines being Chardonnay. The direction of the slope and soil in the Bourgogne region contributes heavily to the potential quality level of the wines. Bourgogne wines are all about tasting the terroir and the many soil types in the area will dictate what flavors come out in the wines. Most Bourgogne vineyards are planted on slopes and the most desired slope is east-facing to catch the morning sun. 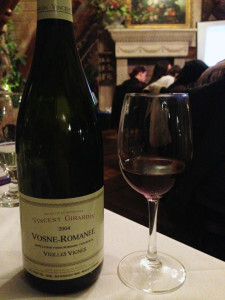 Bourgogne’s wines take patience to enjoy their full potential. 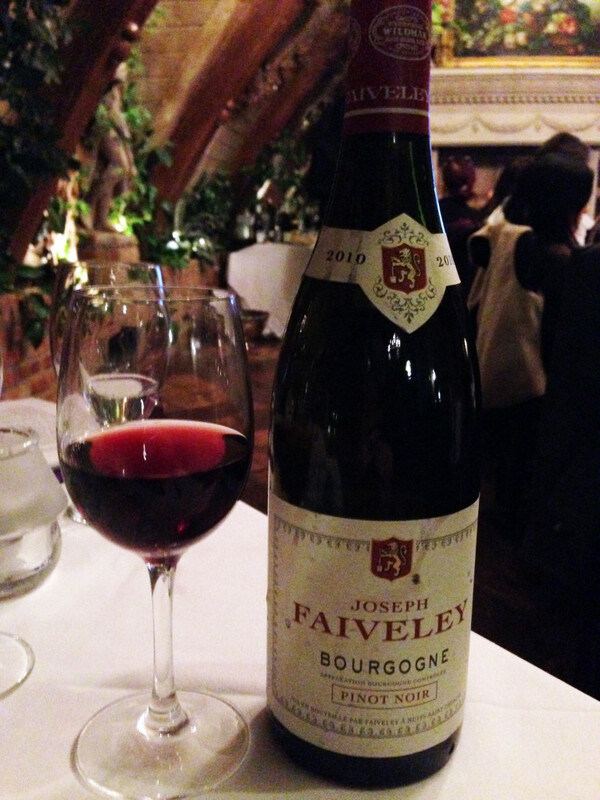 All great Bourgogne wines need a few years in the bottle in order to express their true depth of character. Americans will be familiar with many Burgundian foods. Poultry from Bresse brings us Coq au Vin (chicken slow-cooked in red wine), beef from Charolais created Beef Bourguignon (beef with mushrooms and onions slow cooked in red wine) and finally escargot (snails in garlic parsley butter). 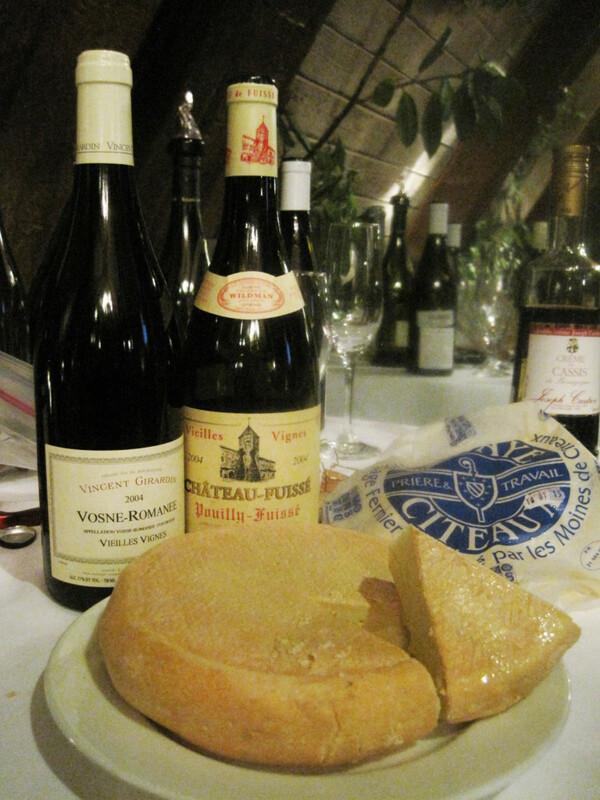 Pungent, washed-rind cow’s milk cheeses are also part of the Burgundian food culture. 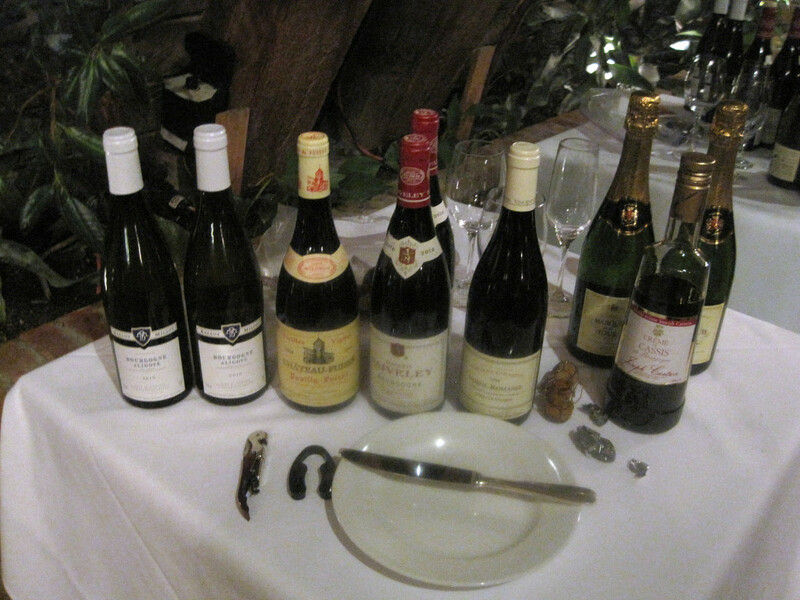 Most are best accompanied with Bourgogne white wines. We sampled the Abbaye de Citeaux (purchased from Fromage.com) to pair with the Chateau-Fuissé Pouilly-Fuisse Vieilles Vignes 2004 and Vincent Girardin Vosne-Romanee Vieilles Vignes 2004. The semi-soft cheese comes from the Citeaux Abbey in Bourgogne. Milk from red and white Montbéliarde cows that graze in the meadow surrounding the abbey produces a supple, ivory white cheese with an earthy, milky taste. 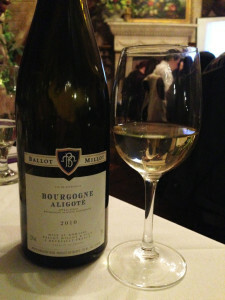 Bourgogne is only the fourth-largest wine region in France, but contains more AOCs (Appellation d’Origine Contrôlée) than any other. All Bourgogne wine is AOC and therefore rests at the top of the French wine quality pyramid. Beaune is Bourgogne’s wine capital. The 42 Premiers Crus produce mostly red wines. 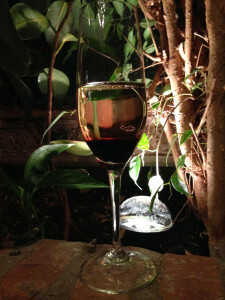 Pinot Gris is regionally referred to as Pinot Beurot. 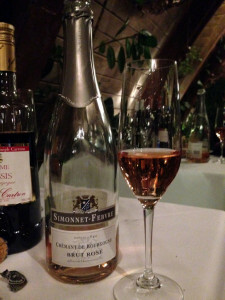 This 100% Pinot Noir sparkler comes from a single vintage, although it is still classified as non-vintage. Aromas of raspberry and redcurrant make this a perfect aperitif (or refreshing start to wine class!). This vineyard operates under “supervised control” (lutte raisonnée) meaning that organic farming methods such as planting cover crops, plowing and composting for fertilization are employed and pesticides are used only when indispensable. 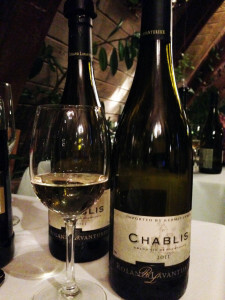 It is 100% Chardonnay grapes which present as rich and creamy on the palate. This wine is available in Utah for $26.89. It pairs deliciously with raw oysters and grilled seafood. Sadly one of the two bottles we had for the tasting had gone off but rest assured that one of our classmates, La Caille’s bar manager Ron, immediately alerted us (so you can trust his palate when you order a wine with dinner there). Featuring the Aligoté grape, notes of hazelnut, jasmine, honeysuckle, pear and vanilla are present. Pair with salads, grilled fish, canapés and shellfish and other such “gastronomic agreements”. Sauteed apples with shortbread come to mind with this 100% Chardonnay wine. Best laid down for 5+ years, the grapes come from 80 acres of 50+ year old Chardonnay vines. 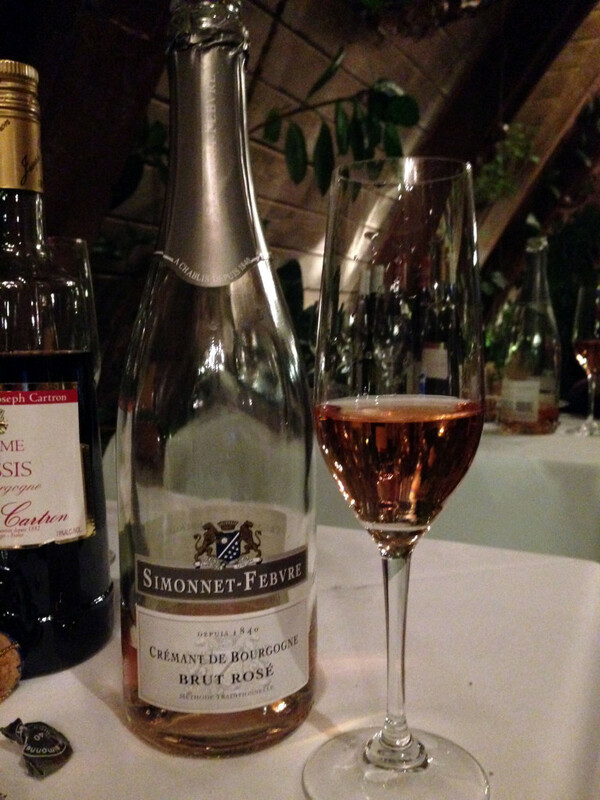 Pair with the Citeaux Abbey cheese, fois gras, lobster or baked chicken. This 100% Pinot Noir is available in Utah for $26.49. Wild game, cherry, raspberry and strawberry present on the nose and make it a perfect compliment to poultry, duck, salmon, rare ahi tuna and roasted or grilled chicken. This Pinot Noir spends 16-18 months on the lees in French oak casks. It pairs well with the Citeaux Abbey cheese or pork tenderloin. The famous Kir Royale was invented by Canon Kir, the mayor of Dijon. It is made by mixing a little blackcurrant liquor/crème de cassis into a glass of white wine. The Kir is $23.92 and the Crémant is $11.99 at Utah DABC stores.